2018.6.16 sat. - 9.2 sun. This summer, the Hara Museum of Contemporary Art is happy to present Mami Kosemura: Phantasies Over Time, the first solo museum show of an artist who blurs the boundary between painting, video and photography to explore the nature of reality. For this exhibition, Kosemura will introduce about 30 pieces ranging from early animations to her most recent photographic and video installations, many of which incorporate her signature motifs–the stillness of painting and the movement of film. These can be seen in her early work for which she used time-lapse photography*1 to capture images over several months. 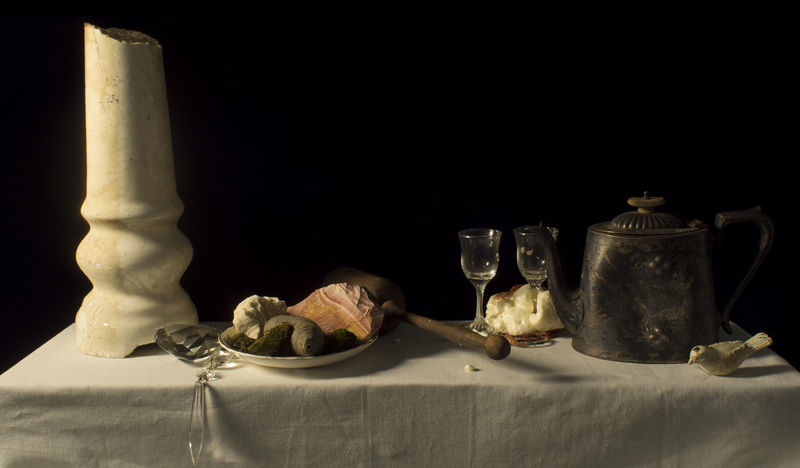 By manually altering thousands of frames and linking them together, she created “animated still-lifes” of fruit, flowers and other objects composed in the style of a 17th century Spanish still-life painting. She continued to mimic Spanish still-life painting in later work made in New York City, taking as her subject matter junk and other detritus collected from the city streets. In one of her newest creations featured in the exhibition, she used time-lapse photography to document the gradual evolution of a work from beginning to end, offering a glimpse not only into the nature of painting, but into her creative process as well. In her treatment of space, time and movement, Kosemura invites the viewer to think in new and different ways about the fictional and the real.